Thank you for visiting the website of the Carrollton Georgia Kiwanis Club. The Carrollton Kiwanis Club was sponsored and chartered in 1947 by the Newnan, GA, Kiwanis Club. 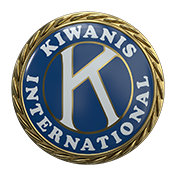 It has been in continuous existence since that time and has produced many local and state Kiwanis leaders, and has returned thousands of dollars of charitable contributions to the local, state and international causes approved by the local Club's board. Meeting on Fridays at noon at the Sunset Hills Country Club, the Carrollton Kiwanis Club has 110 regular and senior members (10/01/2012) and welcomes energetic, literate, and civic-minded members of the Carrollton community to be sponsored for membership. Among the annual projects sponsored by the Club's 501(c)3 foundation are the Carrollton Kiwanis Youth Football Bowl, local and District (GA) Art and Music Talent Showcases, Key Clubs, literacy projects, Boy and Girl Scouts, and many projects centered on recreation and education for children and for institutions helping children and children's needs. Thanks for your interest in the Carrollton Kiwanis Club.